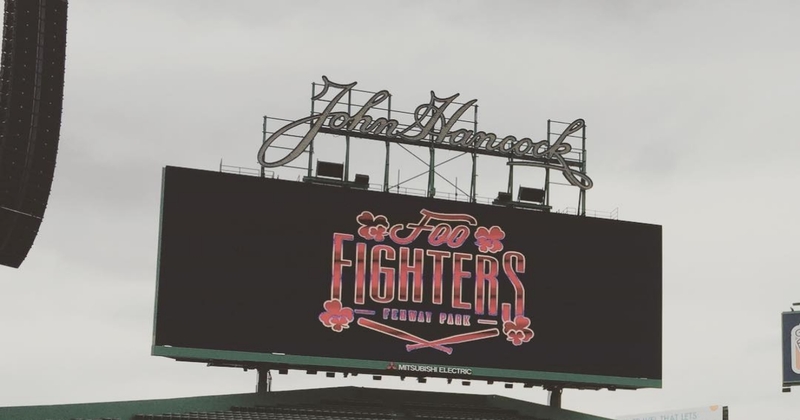 The Foo Fighters took Fenway Park for a second night last night and brought along a special guest. A few months ago lead singer Dave Grohl broke his leg falling off stage, effectively stealing my job. To get his leg fixed he needed to have surgery back home in Virginia. His doctor for the entire ordeal was Lew Schon. Why do I know Dave Grohl’s orthopedic doctor, you ask? Because Dr. Schon was not only brought on stage last night but was allowed to sing a cover of “Seven Nation Army” by The White Stripes. And it was flippin’ fantastic. Here we were thinking that it was all a joke and he would just sing a line and go away. No, the dude stole the show. He was awesome. I may need to find an excuse to go visit the good doctor myself. I'm From Scranton. Yes, As In The Office.